47% of buyers consume content before making a purchasing decision. So if you aren’t blogging, you could be missing out on sales. Every business and industry has trends, and blogging is no different. Year after year, technology and consumer demands changes, making way for new strategies. To get the most traffic and earnings from your blog, you need to stay up to date. That’s why ahead I’ll be teaching you the top blogging trends in 2018. Gone are the days where 500 word posts would suffice. Shorter content doesn’t pack as much value and entertainment compared to long form content. What exactly is long form? The exact definition can be debated, but it’s generally any article exceeding 1,000 words. According to Snap Agency, content ranking as #1 on Google typically sits around 2,450 words. This number has gradually increased over time. When writing content, do your best to expand upon every idea and point. This will all add up to a great word count. Since search engines like Google consider it a ranking factor, it helps drive more traffic to your website. Quality over quantity is the name of the game. Most importantly, long form content is plain old enjoyable. Readers learn more things, have extra resources, and it genuinely improves their lives. Sure, if you write a blog post, eventually users will begin trickling in over time. If you want to get the most out of your articles though, you’ll need a promotional strategy you can follow. For 2018 and beyond, try out some of the following to drive more traffic quickly. I love this strategy and still use it to this day. Facebook groups are goldmines for driving immediate traffic to your blog and promoting it. There are groups about literally anything, filled with thousands of people interested in your content. 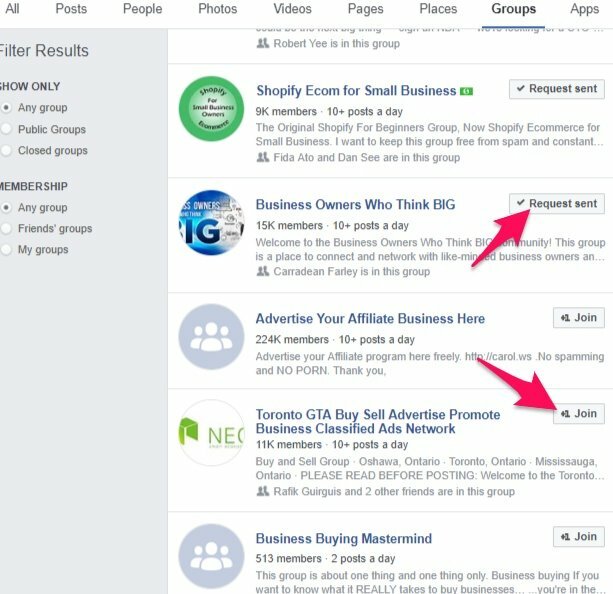 To begin, search and join Facebook groups related to your website. I’ll do a quick search for “business” and select the groups tab. This will display tons of related groups that you can join. Just simply click the “Join” button and either the request will be sent or you’ll need to answer a few questions. If you’re accepted, you’ll receive a notification. Once you’re approved, it’s time to post, right? The key is to be a productive member of the group by starting conversations and sharing high quality content. By posting your latest articles, you’ll be able to drive targeted traffic to your blog and gain loyal followers. Ask questions, engage with other members, and build a reputation for yourself. If you just post and leave, it looks spammy, doesn’t it? In general, you should make a habit of sharing your latest posts across social media channels. 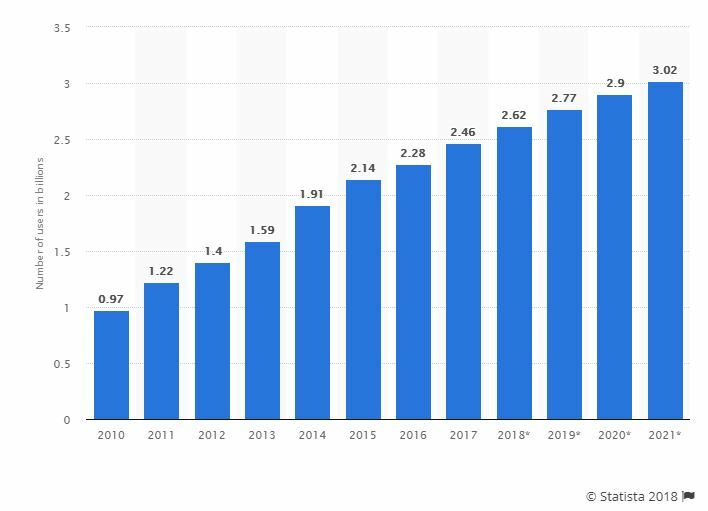 As of January, there are almost 3.2 billion social media users worldwide. Facebook Twitter, and Pinterest are great networks to use for promoting. If you use Pinterest specifically, try creating a fun infographic that will entice users to click through and read your article. 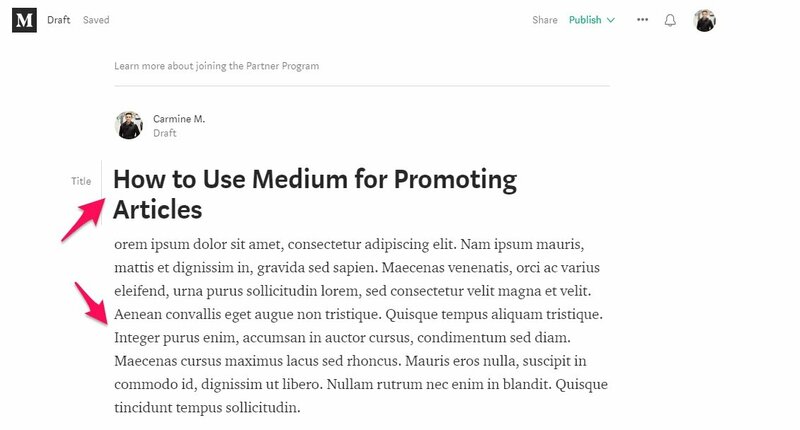 Medium is a free blogging platform that has over 60 million monthly readers. Don’t you want in on that? I love taking blog posts and re-purposing them on Medium to spread my content around and generate traffic. Once you’ve filled out your profile, click “New story” under the profile menu drop down. The title and content can be the exact same as the original post. But, here’s a little tip. Don’t post the entire article. Do 50-75% and make a call to action at the end to finish the article on your website. To do this, click the add button on the sidebar then choose the embed option. Paste your link and you’re good to go! 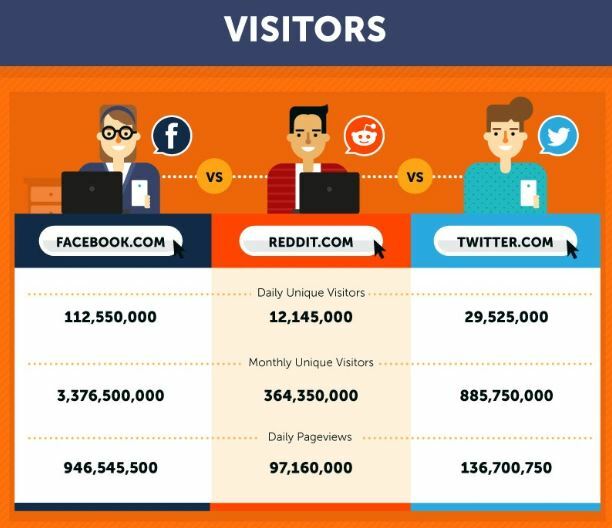 With over 12 million daily visitors, Reddit is a great place to promote your content. They have sub-Reddits for just about anything, which means there’s one for your niche. But, Reddit can be quite ruthless. They have strict rules and some sections don’t allow for self promotion. As well, users don’t react well to low quality content. Trust me, I know from experience. I remember back in the day I wasn’t that good at writing content. I’d write 500 words and call it a day. Cracking my knuckles and putting my hands behind my head, I thought I created a masterpiece. Then, I shared it on Reddit. That’s when I got a reality check. Comments flooded the thread saying how garbage the blog post was. It made me realize that high quality, long form content with actionable steps is where it’s at. Search for a sub-Reddit related to what you write about. Some will require you to have a certain amount of “Karma”, which is generated from upvotes on comments and posts. 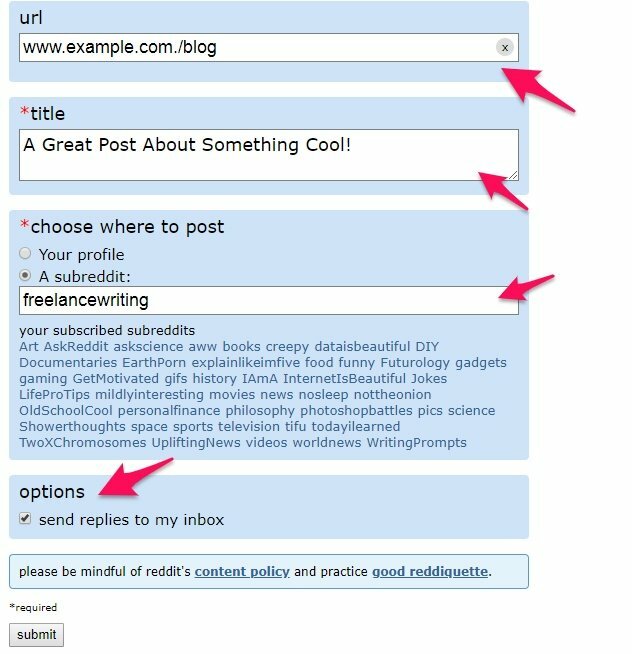 When possible, click to add a new text post or link. Then, fill out the required information like a title, URL, and if you’d like replies sent to your inbox. Combine Reddit, Medium, and social media groups for promotion and I guarantee you’ll see a great increase in blog traffic. So, you’re writing long form content after reading our first tip. Great! Next, you’ll want to add evergreen content into your blogging strategy for 2018. If you don’t already know, evergreen content means writing about topics that will never go out of style. According to a study done by Buzzsumo, authoritative and well researched content earns the most shares and backlinks. That means the opposite of evergreen content is news or fad related topics. Things that people will stop talking about in the future or won’t be searching for. You want people coming to your blog for a long time, don’t you? Then it only makes sense to write about ideas that users will always be interested in. A large component of evergreen content is ensuring that it contains good sources and data. Include graphs, charts, and studies to back up claims you make. It also provides nice visuals and makes reading the article more enjoyable. Over time, evergreen content will drive the most traffic to your blog. To come up with ideas, I like using AnswerThePublic. Don’t mind the weird jittery guy in the background. I’ve always found him kind of funny. Many people searching on engines like Google are trying to solve something, so questions are great to focus on. As you can see, there’s no shortage of inspiration and keywords for evergreen content. Don’t be afraid to throw in some unique content every now and then, but definitely narrow in on posts that will last a life time. Search engine optimization is critical for every blogger. If you don’t practice SEO, definitely put it on your to-do list. Learning even the basics can produce noticeable results. In the past couple of years, voice search has increasingly grown. 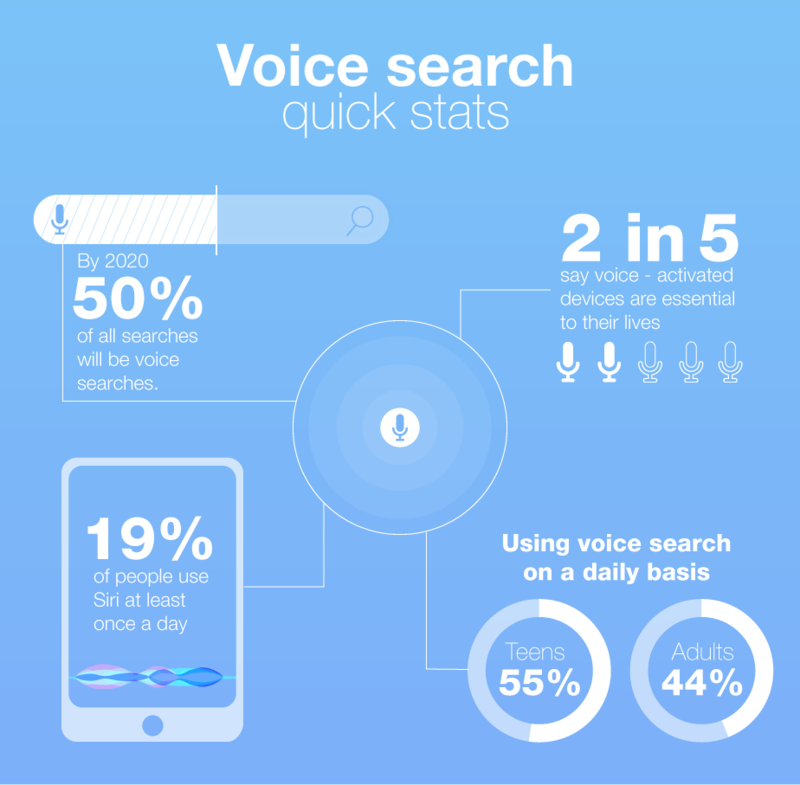 Comscore believes by 2020, 50% of all searches will be done by voice. It will mostly change how you research and implement keywords. Typically keywords are choppy and not full sentences. Going forward, it’d be effective to use keywords in the form of questions and full sentences. 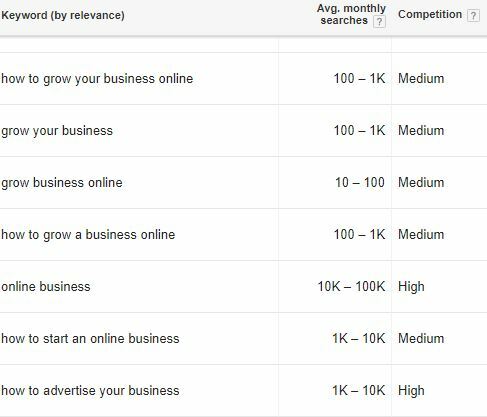 Let’s open up Google’s Keyword Planner for ideas. Make it a habit to search for keywords that are full questions and sentences. You’ll get tons of phrases that you can use for SEO. These kind of questions all stem from understanding your customer. How well do you know them? Do you know their pain points and struggles? Because that’s the epitome of any business. If you want to understand your audience, create a customer persona to work with. 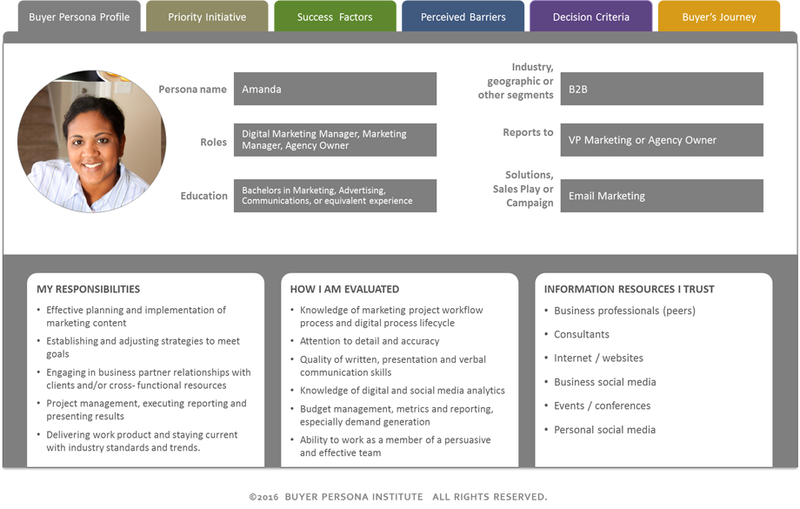 This is a template of your average user that you can craft your marketing around. Here’s an example of what one looks like. When you first begin, some of this you will have to speculate and then later confirm. Resources like free market reports can help you fill a template out with proven information, though. As you collect data on your readers through Google Analytics, surveys, and other tools, you can slowly refine your customer persona. Connecting to your audience can help you gain loyal subscribers and increase conversion rates. One of the most effective ways to do so, is through storytelling. It shows readers that there’s a real person behind your blog posts. As well, your audience may be able to relate to the stories you offer, further developing their connection with you. Storytelling can be done in a few different ways. The first is to intertwine experiences you’ve had into content you write. Have you used the product you’re talking about? Do you have something funny to mention? As long as it’s related, these are great interludes in blog posts. Heck, I threw in a story or two earlier in this article. Secondly, you can use the stories of others to build the same emotional connection. It should relate to your target audience and the message of your content. 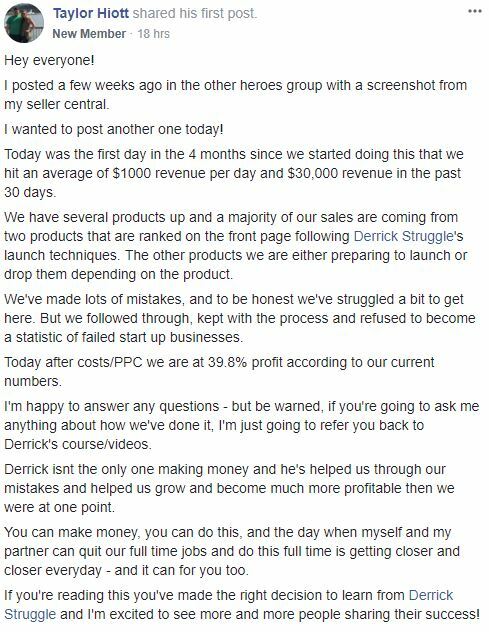 Here’s a story from the Amazon FBA Heroes course from one of their customers. Give a skim to see what I mean. Besides your own stories or others, you could always do the classic copywriting technique of simply making one up. Now, you need to be careful here. You don’t want to fabricate anything or claim that it’s a real story when it’s not. For example, I had a friend that was running a six figure consulting agency a while back. He made up all sorts of stories about his happy clients and their incredible ROI as a result of his service. He got canned and lost his agency because of it overnight and ended up homeless. But, I need to let you in on a secret. I just made that little story up, too. See what I mean? It has a good moral and it helps support my point. Try adding in stories into your blog posts from now on and you’ll notice the difference. If you’re not regularly blogging, you need to get working. There’s a reason companies like Hubspot are posting hundreds of articles per month. It drives traffic, generates sales, and improves trust. For 2018, the first trend to take advantage of is long form content. Write anywhere from 2,000 to 3,000 words and you will rank for more keywords. Guaranteed. It also will generate more links and shares. Secondly, once you’ve published a post, promote the hell out of it! Join Facebook groups and share them. Put them on other social networks and use Medium or Reddit to propel it further. When you do write content, focus on topics that people will be searching for years from now. A.K.A, evergreen topics. AnswerThePublic will be your best friend for this. You practice SEO, right? Good. Going forward into 2018, align your keyword research with voice searches. This means full sentences, questions, and more coherent phrases compared to traditional keywords. Lastly, tell a story. We all have one. And if you don’t, reference someone else. Whether that’s a customer or from another business, stories build connections and emotional rapport. What trends do you see for blogging in 2018?